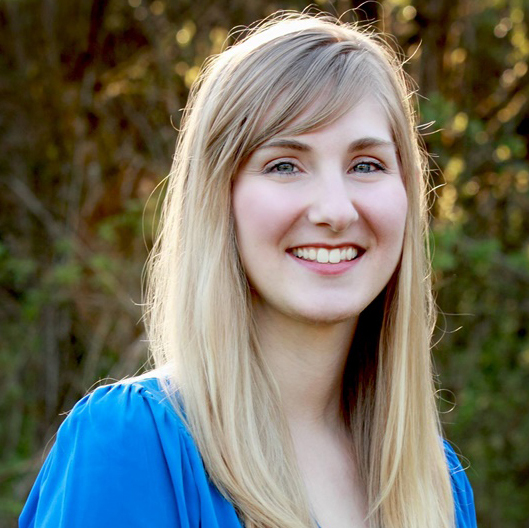 The ATTA is an organization whose success is defined by the success of our members – when they thrive, we thrive. Our goal is to help our members grow, promote and professionalize the adventure travel industry worldwide. We often find that the more a member puts into their ATTA membership, the more they get out of it. In order to educate and empower our members to utilize these resources fully – and to answer questions to those considering membership, we recently hosted a webinar covering all the available benefits (access the recording here in English or here in Spanish). These benefits are outlined below – and, please, feel free to contact us at [email protected] with any questions. Adventuretravel.biz – Our main homepage for the ATTA. 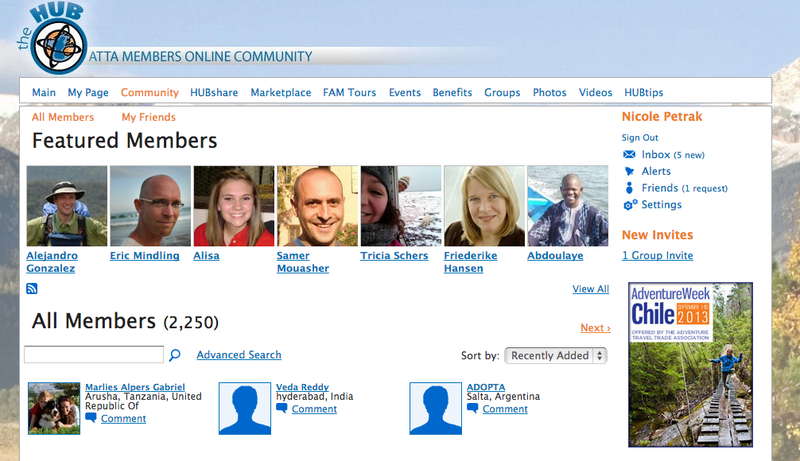 Here you can find out who we are and see a list of our current members. We also provide an in-depth Summit homepage with resources for the upcoming Summit and archives of past ones. You can also access regional AdventureConnect events and our team travel schedule for tradeshows and events. 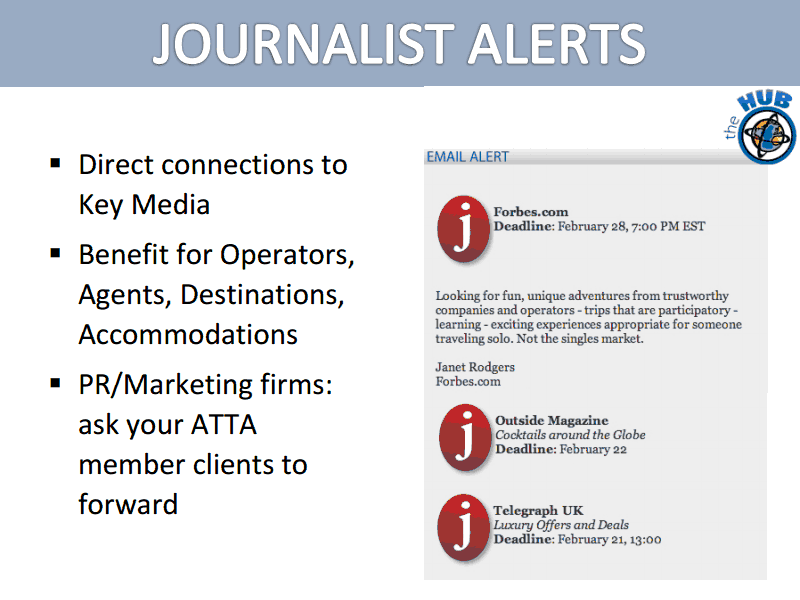 AdventureTravelNews.com – The main purpose of ATN (AdventureTravelNews) is to share industry news and trends, as well original interviews and business insights. Member news and stories are featured here when appropriate and can be a great way to gain additional exposure to tens of thousands of trade professionals who are currently subscribed. Adventure.travel – Our consumer facing website. All tour operator and accommodation members have the opportunity to create a company listing describing the activities and destinations they offer. As a way to drive traffic to members’ websites through our new partnership with TourRadar, trip listings and traveler reviews are directly linked from Adventure.Travel to the member’s site and are also featured on our trade and consumer Facebook pages. 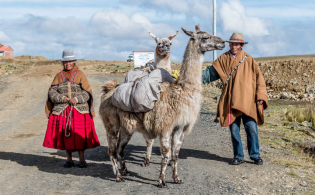 Travel Advisors are also listed on the site and may describe the destinations and activities they specialize should a traveler be looking for consultation when booking an adventure tour. This site is also used as a directory when members are seeking trade partners and media are seeking story ideas. 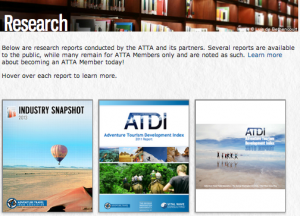 Research – The ATTA is heavily engaged in adventure tourism research. We have worked with The George Washington University and Vital Wave Consulting on various projects. One such project revealed that the adventure travel industry is an $89 Billion per-year industry and is growing at about 17% annually. 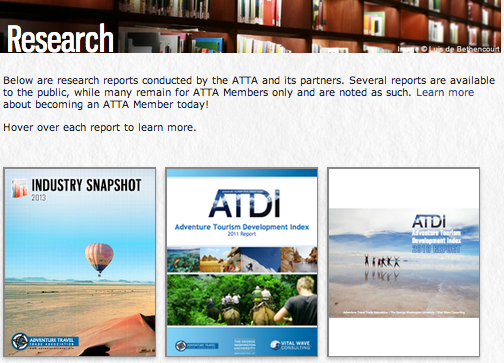 We also work with both groups on the Adventure Tourism Development Index (ATDI). 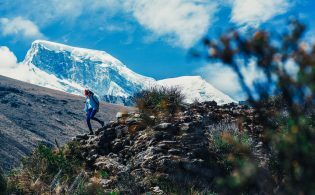 This is a ranked list of the tourism potential for both developed and developing nations based on ten key factors in adventure tourism development. 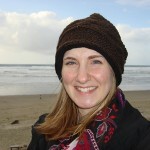 We also provide industry snapshots and quick polls that track various elements of the adventure travel industry. Many research reports are available here. Some reports are available to members-only via The HUB’s Research Center. Destination Knowledge – Working with destination partners, the ATTA offers opportunities for the adventure travel industry to gain first-hand experience and knowledge of new product offerings and helps expand international tour buyers’ options for designing and selling new tours, accommodations or packages direct to travelers. One example is the Adventure Travel Mexico event (ATMEX), which showcases Mexico’s adventure travel products and features educational opportunities and a networking marketplace. Another opportunity is AdventureWeek Chile (for ATTA members only), an intensive 10 day FAM trip featuring three destinations in southern Chile (Los Lagos, Aysen and Magallanes) and includes activities such as kayaking, biking and hiking. We provide a variety of opportunities to connect within the adventure travel community of professionals. A variety of members-only benefits are available in the HUB, along with discussion groups and interactive member profiles. 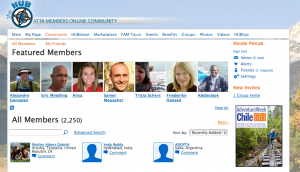 The HUB – Our members-only networking site. From the HUB, members can join groups that discuss relevant adventure travel industry topics such as: risk management, responsible travel, PR and marketing, travel technology and more. Other HUB activities include FAM tour opportunities, upcoming industry events and a comprehensive section that gives members access to all ATTA membership benefits, resources and discounts. Current members can access the HUB by signing in here. Adventure Travel World Summit – Every year our community gathers in a different country for in-the-field excursions and activities, networking and education. 650 adventure travel professionals will gather at this year’s Summit (October 26-31) in Namibia. For more details visit the ATWS site here. AdventureConnect launched in 2013 and events have been held in cities worldwide. 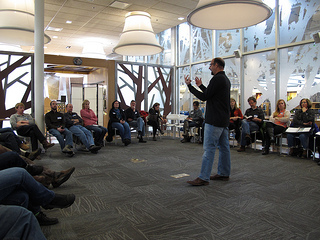 AdventureConnect events are our regional networking and educational gatherings. Open to all industry professionals (not just members), AdventureConnect allows local adventure travel communities to connect, network and grow. The agenda for each event varies but a few examples of what to expect include – speakers providing relevant information on important topics or discussion panels that offer an interactive dialogue of pressing issues, networking time to connect with others in the ATTA “tribe” (or those curious to learn more). 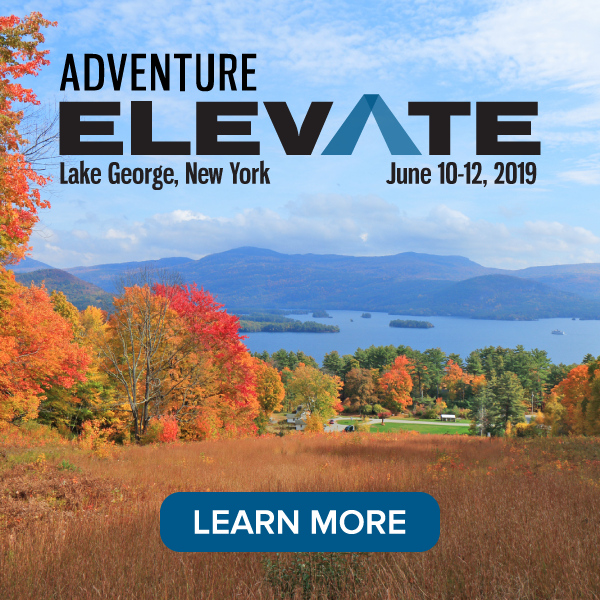 To review and register to attend upcoming AdventureConnect events, please visit our site here. We facilitate partnerships between members of our global network. 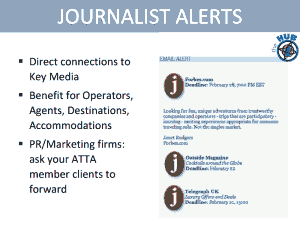 Learn more about ATTA Journalist Alerts here. Discounts on exhibition space or attendance fees at events such as ITB-Berlin. 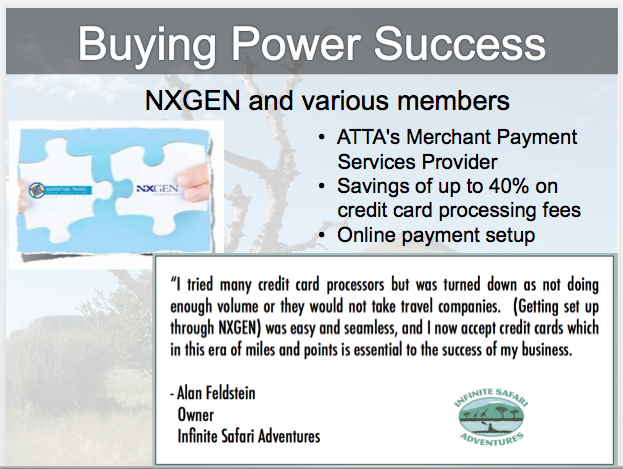 NXGEN – a great example of how we help ATTA members lower the cost of doing business is our partnership with NXGEN. 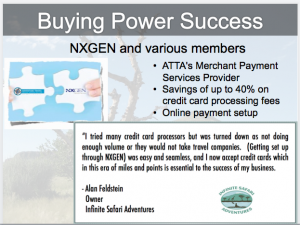 Partnerships – The ATTA has been able to connect several of our members resulting in mutually beneficial business partnerships. For example, we recently were able to bring together German backpack manufacturer, Deuter with Norway’s tourism board. This partnership gave Deuter a great marketing storyline and Norway received exposure in Deuter’s print ads, website and through their social media channels. The partnership netted more than 46,000 sign-ups and potential new customers for both brands to reach out to. Other successful partnerships the ATTA has facilitated include: Columbia Sportswear and Jordan, Austin-Lehman Adventures and Argovia, Mexico, and Men’s Journal with San Luis Potosi, Mexico. For current ATTA members, we encourage you to bookmark this as a reminder of all that is available for you and your business. If you haven’t yet done so, please join the HUB and start accessing all your benefits. Alice, Sarah, Rebeca, and Ulrika – our Member Advocates – are also here to personally assist you in making the most of your membership – don’t hesitate to contact them directly at any time. To non-members considering joining the ATTA – we hope this is an effective introduction to the vast resources the ATTA provides to our member community. To review all Membership Benefits or to join the ATTA immediately, visit our homepage (www.adventuretravel.biz) or email us with questions at [email protected].